The pressures of perfectionism and the concerns children and teens face in today’s world are unlike the experiences many adults had during their childhood. A recent analysis by researchers highlights another concerning issue – the number of children and teens who have visited emergency rooms for suicidal thoughts and suicide attempts doubled between 2007 and 2015, according to data from the National Hospital Ambulatory Medical Care Survey. Within the military community, these challenges can be amplified, especially for our children, who can sometimes face different psychological and social challenges in light of their close family connection to America’s heroes. Don’t miss the opportunity to get to know a military child. As a military spouse and parent, I know first-hand how the experiences of military children shape them into some of the most exemplary people. Public expressions of gratitude for our nation’s veterans and active military members are rightfully common across our country. However, let us not forget of the bravery and service of our military family members—especially children—and build strong connections with them. 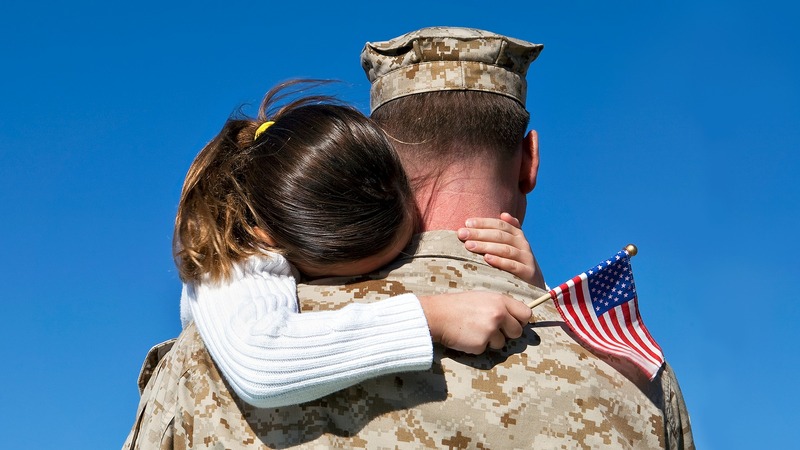 According to the Substance Abuse and Mental Health Services Administration, children of deployed military personnel have more school-, family-, and peer-related emotional difficulties, compared with national samples. Military children have watched mom or dad leave time and again. They may experience anxiety and depression when a parent is gone. When the entire family is back home together, they’re worried about the next deployment. It is important that military children have a way to explore their feelings, discuss their concerns and develop healthy coping skills. The fundamental principle to put others before ourselves is within the fabric of every military community. However, the same selfless traits admired about our service members and veterans can contribute to the challenges that make it difficult for them and their loved ones to ask for help when they need it. Everyone needs guidance, support, and tools to navigate through different taxing phases of life. At Centerstone, we offer services to the entire military family through a national network of over 1,100 licensed, well-trained, military culturally competent providers. Seeking help does not make a person weak. In many cases, it’s the first step to healing. Military children in the United States deserve our ongoing thanks and support for what they give our country by giving up certain family and social norms. We owe them and our service members more than just a debt of gratitude for the sacrifices they have made. We need to provide them with the support and resources they need to lead healthy lives. Jodie Robison, Ph.D. is the executive director for Centerstone’s Military Services, a not-for-profit health care organization that provides mental health treatment programs and resources nationwide to service members, veterans and their families.